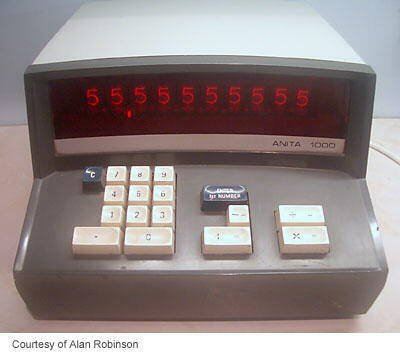 4-function, uses RPN (Reverse Polish Notation). Mainly uses transistors, but also has integrated circuits made by Marconi-Elliott Microelectronics using "MOST" (Metal-Oxide Semiconductor Transistor) technology. 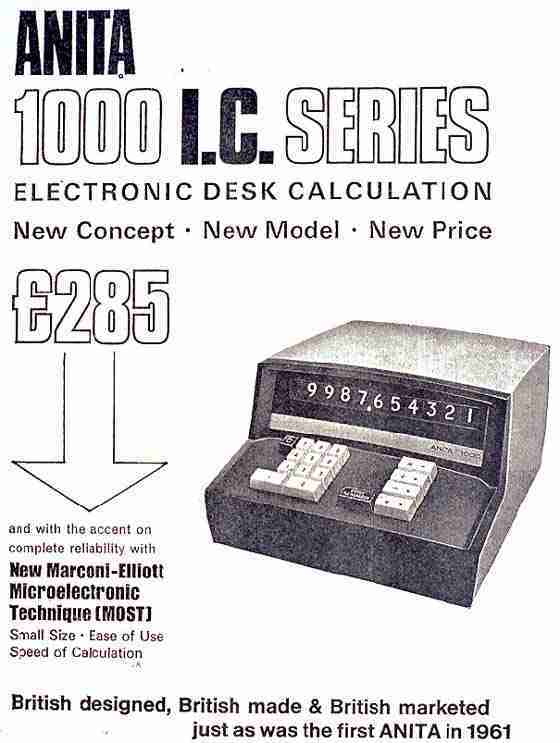 Introduced in February 1969, price £285 GBP (about US$680), and was claimed to be "the most competitively priced calculator of its type available". The advertisement above from May 1969 is from a period when there was a great "buy British" campaign in the UK. The Times, May 22, 1969. The Times, February 24, 1969.